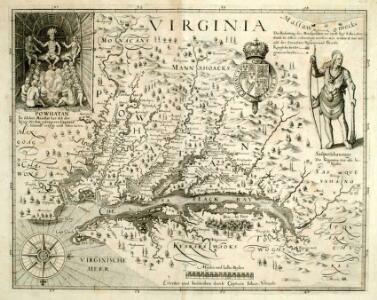 A new and accurate map of the province of Virginia in North America. Map Of The Seat Of War. Shell Highway Map of Delaware - Maryland, Virginia, W. Virginia. (western portion). One Hundred & Fifty Miles Around Richmond. The tourist's pocket map of the state of Virginia: exhibiting its internal improvements, roads, distances, &c. / by J.H. Young; engraved by E. Yeager & F. Dankworth. The travellers pocket map of Virginia: with its canals, rail-roads & distances from place to place along the stage roads / by H.S. Tanner; engraved by W. Brose, Philadelphia, 1830. Virginia / discovered and described by Captayn John Smith, 1606. A new map of Maryland and Delaware : with their canals, roads &amp; distances / by H.S. Tanner ; E. Gillingham, sc. Carte de la Virginie et du Maryland dressée sur la grande carte angloise de Mrs. Josué Fry et Pierre Jefferson, / par le Sr. Robert de Vaugondy, géographe; Groux. 1 : 525000 Colton, J. H. Colton, J. H.
A map of Maryland with the Delaware counties and the southern part of New Jersey &c. / by T. Kitchin, geogr. 1 : 1271000 Hammond, C.S. A map of Virginia : formed from actual surveys, and the latest as well as most accurate observations / by James Madison, D.D., president of Wm. & Mary College. ; drawn by Wm. Davis ; engraved by Fred. Bossler, Richmd. Bird's-eye view of the Seat of War, arranged after the latest Surveys. This Bird’s Eye View of the Seat of War, published by Prang, displays the region around the Chesapeake Bay and Potomac River, showing Washington, D.C., Baltimore, Harper’s Ferry, Richmond, Manassas Junction (Bull Run), Fort Monroe and Norfolk Harbour. The map also details railroad lines. It is possible to see a drawing of the Capitol building where Washington, D.C. is labelled. L. Prang & Co.